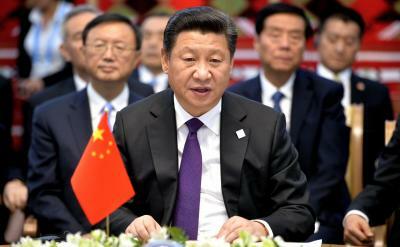 ROME - Chinese President Xi Jinping is set to visit Italy this month in what is likely to culminate in the signature of a Belt and Road MoU between the two nations. It has now been seven years since a Chinese president visited Italy, and Jinping’s first visit will see him visit Rome and Palermo, before flying to Monaco and France to continue his trip. Xi Jinping is expected to visit the Quirinal Palace, the Altar of the Fatherland, the Madama Palace and the Business Forum amongst other important stops on his whistle-stop tour. However, it is his visit to Villa Madama on Saturday morning that is likely to grab all the headlines. It is here that he is to meet with Italian Prime Minister Giuseppe Conte, and the two now seem almost certain to sign the controversial Memorandum of Understanding. It was revealed early in March that Italy were prepared to break European Union ranks, and move against US advice, by becoming the latest nation to subscribe to China’s Belt and Road Initiative. The modern silk road vision is one of an infrastructure network that would connect Europe, Asia, Africa and the Middle East as a means of promoting trade and growth across the continents. Conte Tuesday spoke out in support of Italy’s move. As reported by Il Fatto Quotidiano, Conte said: “The economic-commercial focus is totally legitimate. It is justified precisely in the light of our national interests: we can enhance our export to what is an enormous market”. He went on to assure the nation that it is not a deal that will create any juridical links between the two countries, and Italy would continue to be completely transparent in what the deal might entail. However, many in the EU and even Italy have reservations about the project, seeing it at a way for Beijing to extend economic and political control beyond its geographical borders. Matteo Salvini, a voice of opposition, has raised particular concerns about the spread of telecommunications networks, and whether Italy would retain control or simply become a modern-day colony. One notable exception from Xi Jinping’s trip is a stop at the Vatican City to meet Pope Francis, however it is not thought that this is due to any animosity between the two parties. The historic centre of the city is to be placed on high alert for the duration of his stay and it is thought that around 3,500 members of the police force will be deployed to ensure the president’s safety.